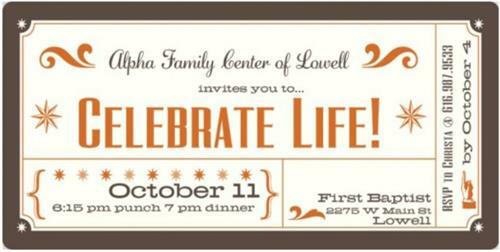 You can help Alpha Family Center continue to serve families in the greater Lowell community by joining us for the 12th Annual Friendship Banquet on October 11, 2018 at the First Baptist Church of Lowell. We will begin with a punch at 6:15 pm and dinner at 7 pm. This banquet provides a good portion of the annual funding for Alpha. This years speaker is Derrick Tennant from the Love Chromosome. Live Simply.Love Completely!